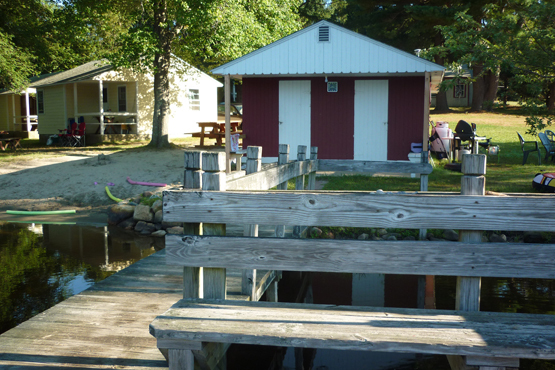 For over 50 years, Backlund's Cottages have offered guests a peaceful place to kick back and relax. 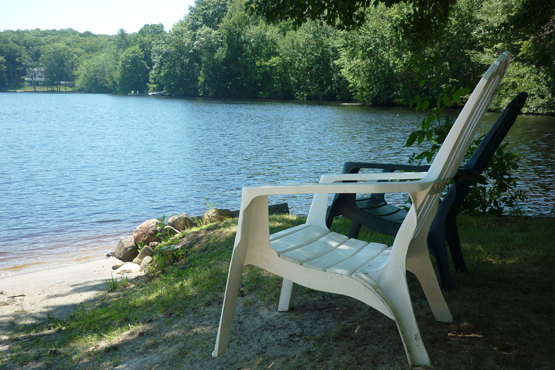 Located on the shores of placid Glasgo Pond in Eastern Connecticut, Backlund's summer vacation cottages are available from July 4th through Labor Day for weekend, weekly, or season-long rentals. Try your luck at fishing or tour the lake in our rowboats. Bring your own kayaks, canoes or whatever watercraft you enjoy. The mile long, crowd-free lake, offers a relaxing water experience. Boats may be launched on site. Cool off on those hot summer days. 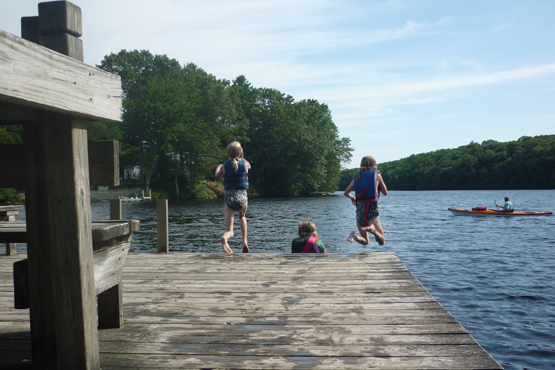 Wade in by the gradual sandy bottom or dive off the dock. Swim the calm waters or just float around on a tube or raft. By day, lounge on the beach, sit under a tree, or hang out on the dock. At night, gather around the bonfire for S’mores or a drink. 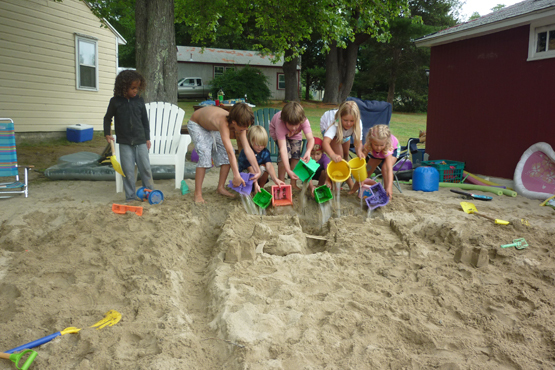 Build a sandcastle on the beach. Play horseshoes, basketball, volleyball, whiffle ball and other yard games on the open lawn areas. 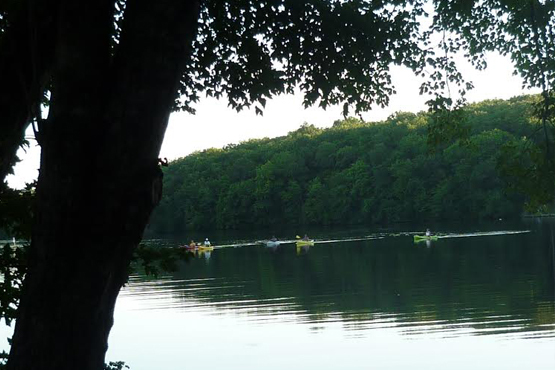 Take a bike ride, hike, or run in the nearby Pachaug State Forest. Our wood-fired sauna is a place to socialize in the evening with friends and family, and a place for physical and mental relaxation as well. Water is thrown on fire-heated stones to produce steam, which typically heats the sauna to 150- 210 degrees. After sitting in the sauna until thoroughly heated, take an exhilarating jump into the lake or cold shower. 21 Cross Road, Jewett City, CT 06351.